Aksu (Uyghur: ئاقسۇ, Ақсу‎, ULY: Aqsu, UYY: Aⱪsu? ; Chinese: 阿克苏; pinyin: Ākèsū), is a city in and the seat of Aksu Prefecture, Xinjiang, lying at the northern edge of the Tarim Basin. 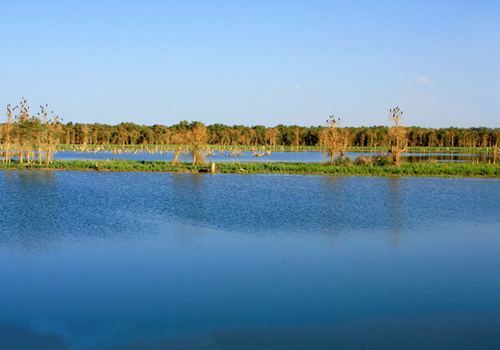 The name Aksu literally means white water (in Turkic), and is used for both the oasis town and the river. The economy of Aksu is mostly agricultural, with cotton, in particular long-staple cotton, as the main product. Also produced are grain, fruits, oils, and beets. The industry mostly consists of weaving, cement, and chemical industries. The land currently under the administration of the Aksu City is divided in two parts, separated by the Aral City. 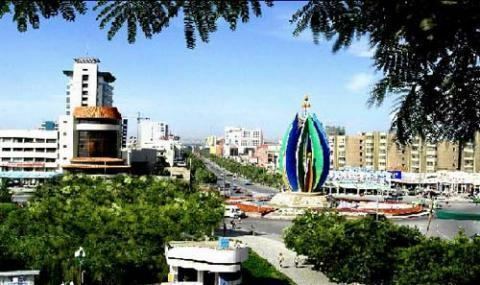 The northern part hosts the city center, while the southern part is occupied by the Taklamakan Desert. From the Former Han dynasty (125 BCE to 23 CE) at least until the early Tang dynasty (618-907 CE), Aksu was known as Gumo 姑墨 [Ku-mo]. The ancient capital town of Nan ("Southern Town") was likely well south of the present town. During the Han dynasty, Gumo is described as a "kingdom" (guo) containing 3,500 households and 24,500 individuals, including 4,500 people able to bear arms. It is said to have produced copper, iron and orpiment. The territory of Gumo was roughly situated in the counties of Baicheng and Wensu and the city of Aksu of nowadays. 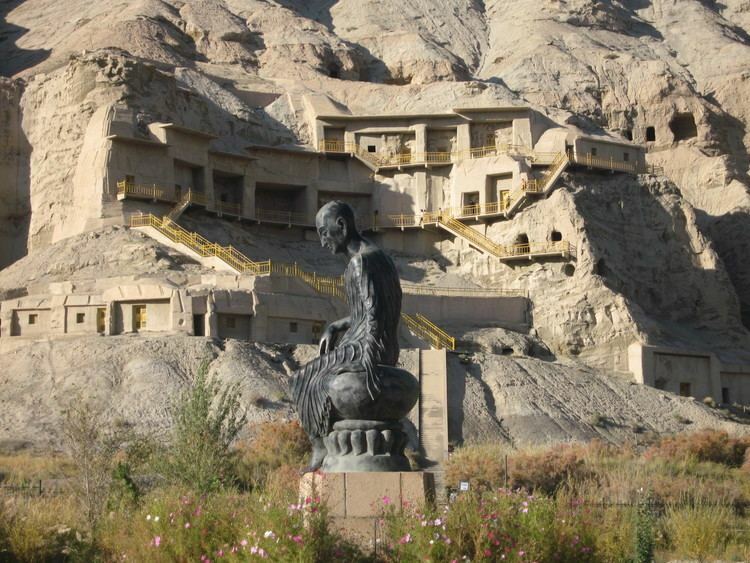 The Chinese pilgrim Xuanzang visited this "kingdom" in 629 CE and referred to it as Baluka. He recorded that there were tens of Sarvastivadin Buddhist monasteries in the kingdom and over 1,000 monks. He said the kingdom was 600 li from east to west, and 300 li from north to south. Its capital was said to be six li in circumference. He reported that the "native products, climate, temperament of the people, customs, written language and law are the same as in the country of Kuci or modern Kucha, (some 300 km or 190 mi to the east)], but the spoken language is somewhat different [from Kuchean]." He also stated that fine cotton and hemp cloth made in the area was traded in neighbouring countries. In the 7th, 8th, and early 9th centuries, control of the entire region was often contested by the Chinese Tang dynasty, the Tibetan Empire, and the Uyghur Empire; cities frequently changed hands. Tibet seized Aksu in 670, but Tang forces reconquered the region in 692. Tibet regained the Tarim Basin in the late 720s, and the Tang dynasty again annexed the region in the 740s. The Battle of Talas led to the gradual withdrawal of Chinese forces, and the region was then contested between the Uyghurs and Tibetans. Aksu was positioned on a junction of trade routes: the northern-Tarim route Silk road, and the dangerous route north via the Tian Shan's Muzart Pass to the fertile Ili River valley. In 1207–08, they submitted to Genghis Khan. Around 1220, Aksu became the capital of the Kingdom of Mangalai. The area had been part of the whole Mongol Empire before it was occupied by the independent-minded Chagatai Khanate under the House of Ogedei in 1286 from the hands of Kublai's Yuan Dynasty. After the decline of the Yuan Dynasty in the mid-14th century and subsequently the Chagatai Khanate in the late 14th century, Aksu fell under the power of Turkic and Mongol warlords. Along with most of Xinjiang, Aksu fell under the control of the Khojas, and later that of Yaqub Beg, during the Dungan Rebellion of 1864–1877. Yakub Beg seized Aksu from Chinese Muslim forces. After the defeat of the rebellion, a learned cleric named Musa Sayrami (1836–1917), who had occupied positions of importance in Aksu under both rebel regimes, authored Tārīkh-i amniyya (History of Peace), which is considered by modern historians as one of the most important historical sources on the period. British Army officer Francis Younghusband visited Aksu in 1887 on his overland journey from Beijing to India. He described it as being the largest town he had seen on his way from the Chinese capital, with a population of about 20,000, besides other inhabitants of the district and a garrison of about 2,000 soldiers. "There were large bazaars and several inns—some for travellers, others for merchants wishing to make a prolonged stay to sell goods." The Battle of Aksu occurred here on May 31, 1933. Isma'il Beg, a Uighur, became the rebel Tao-yin of Aksu. After the outbreak of the Ili Rebellion, the Ili National Army forces led by Abdulkerim Abbas attempting to take Aksu were repelled by National Revolutionary Army defenders commanded by Zhao Hanqi after two bitter sieges in September 1945. Aksu was the site of a bombing in 2010. Aksu has a cold desert climate (Köppen climate classification BWk) with extreme seasonal variation in temperature. The monthly 24-hour average temperature ranges from −7.8 °C (18.0 °F) in January to 23.8 °C (74.8 °F), and the annual mean is 10.25 °C (50.4 °F). Precipitation totals only 74 millimetres (2.9 in) annually, and mostly falls in summer, as compared to an annual evaporation rate of about 1,200 to 1,500 mm (47 to 59 in); there are about 2,800−3,000 hours of bright sunshine annually. The frost-free period averages 200−220 days. 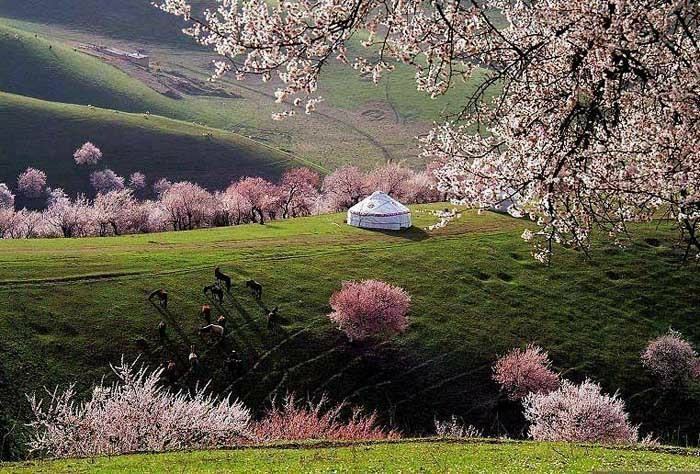 Although the Tarim Basin is largely dominated by the Uyghurs, there are many Han Chinese in Aksu due to the presence of bingtuan state farms here. The Chinese government had encouraged migration to Xinjiang from the late 1950s and early 1960s onwards, and by 1998, Han Chinese formed the majority in the urban area of Aksu. The population was recorded as 498,937 in 1998, 41% of which are Uyghurs, and 58% Han Chinese. In the 2000 census, a figure of 561,822 was recorded for the city's population. In the 2010 census figure, the population in the city of Aksu dropped slightly to 535,657. The difference may be partly due to boundary changes. The county is served by the Southern Xinjiang Railway. Before 600 the region was under control of Huns and Uyghur Turkic tribes. 800: Kuseen Uyghur kingdom was controlling the region. 1000: Qarakhanids Uyghur Empire started controlling the region. 1250: Chagatay Mongol started controlling the region. 1500: Yarkant Uyghur Empire started controlling the region. The kingdom bordered Kashgar to the south-west, and Kucha, Karasahr then Turpan to the east. Across the desert to the south was Khotan.